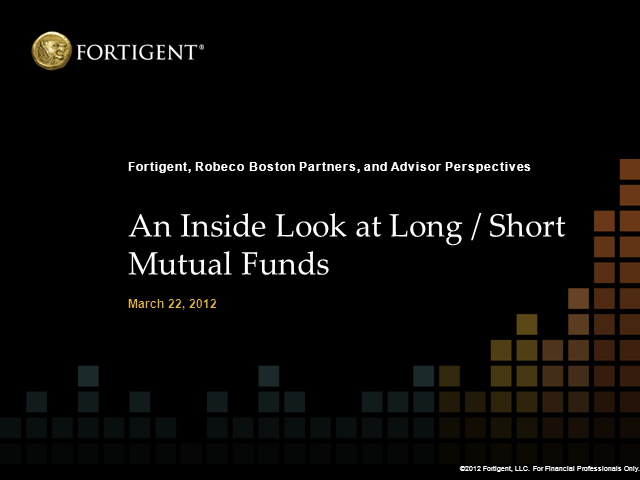 Fortigent and Robeco Boston Partners will be hosting an educational webinar on the topic of long/short investing. The webinar will take place on March 22nd at 4pm EST. Please register to attend this informative event. · Where do long/short mutual funds fit within an asset allocation model? · Historically, how have long/short funds impacted the performance and volatility profile of a traditional investor portfolio. · What allocation to long/short equity provides the greatest benefit to investors portfolios?